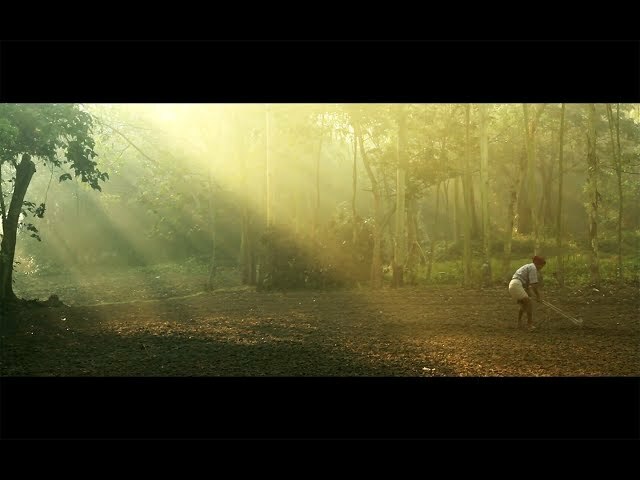 A short documentary on soil conditions and options for scaling up access to organic fertilisers for improved productivity in Bangladesh. 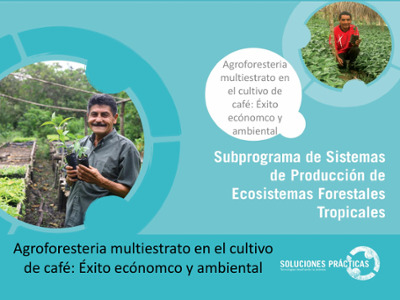 Presentación sobre el trabajo Soluciones Prácticas' en Perú en la producción de café sostenible en los bosques tropicales. 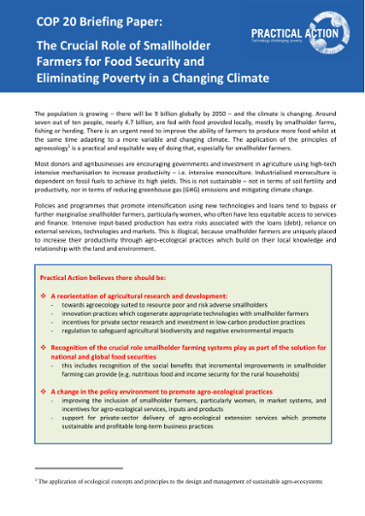 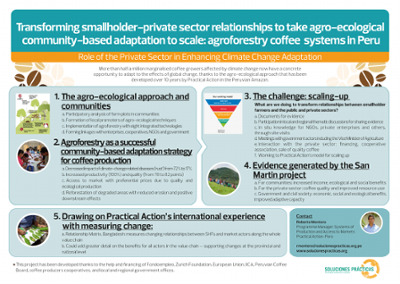 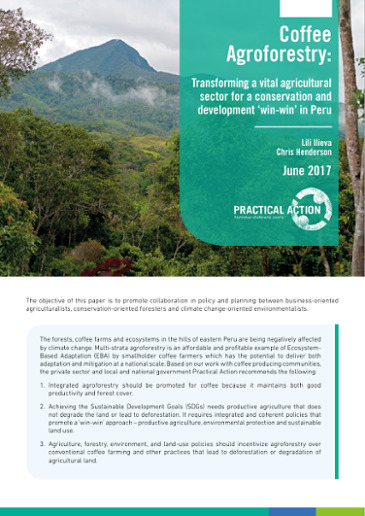 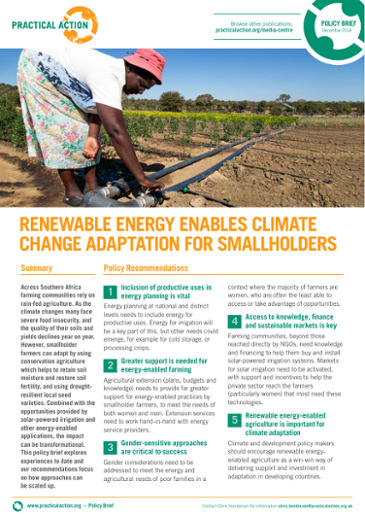 A paper presented at COP20 to highlight the 'Crucial Role of Smallholder Farmers for Food Security and Eliminating Poverty in a Changing Climate'. 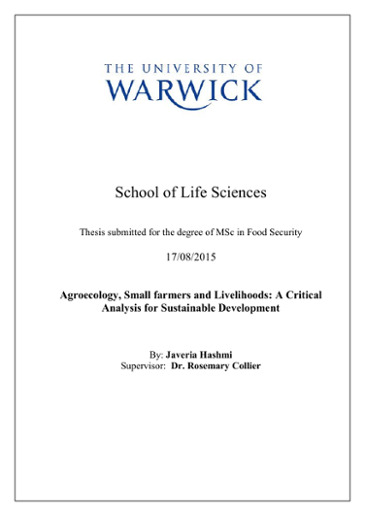 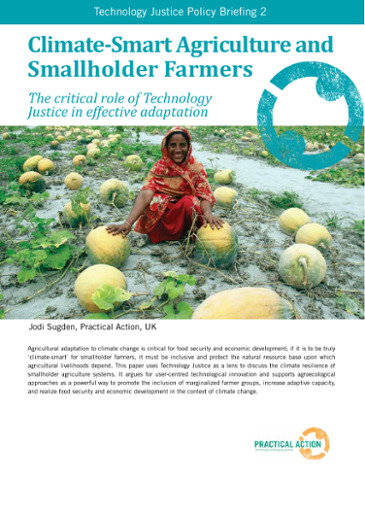 It argues that agroecology can be a powerful tool to help the poorest and most marginalised smallholder farmers adapt to climate change in a sustainable way while achieving growth. 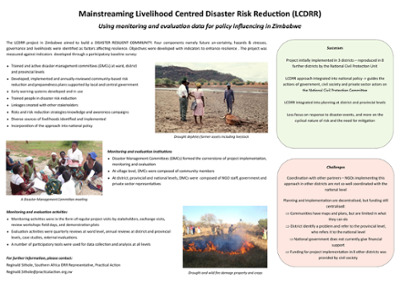 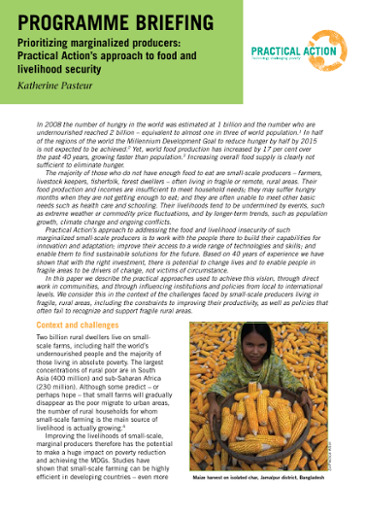 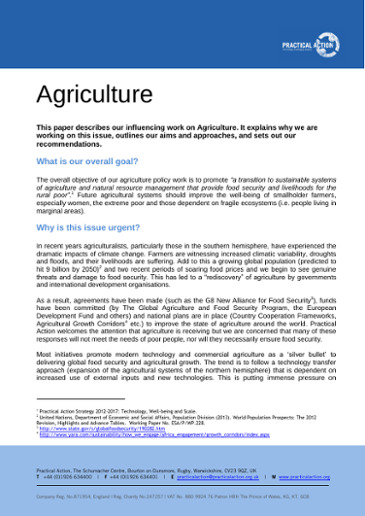 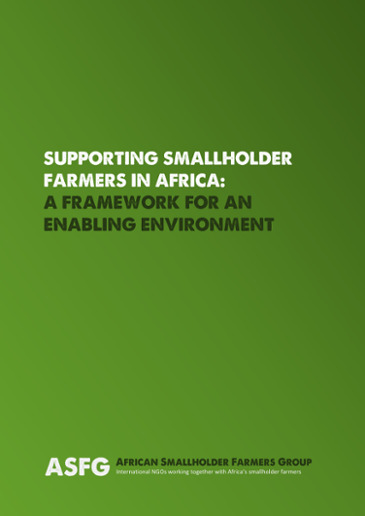 Briefing paper on proven approaches for empowering women smallholder farmers. 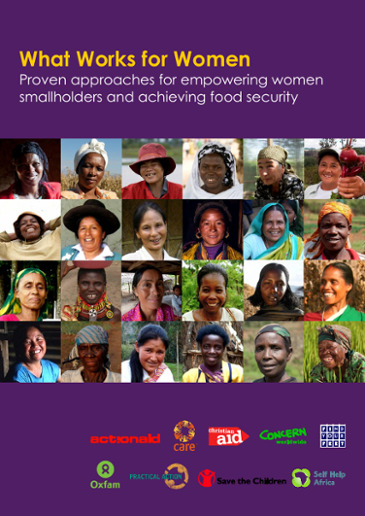 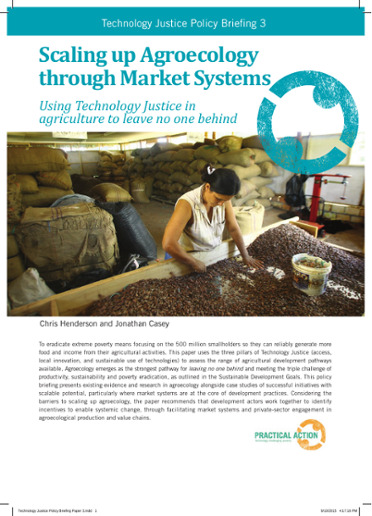 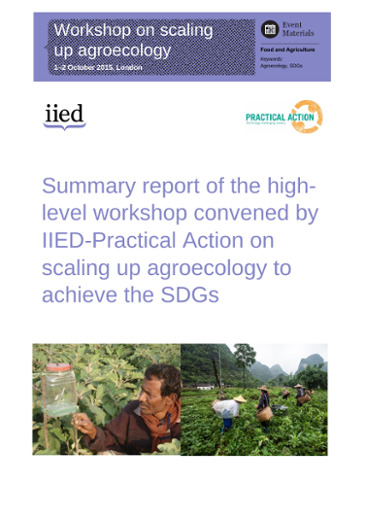 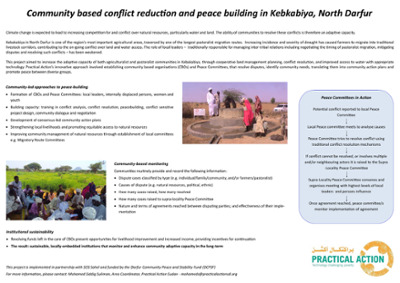 Report by Practical Action and eight other NGOs to share lessons learnt based on their experiences of promoting gender equality and working with women smallholders over many decades. 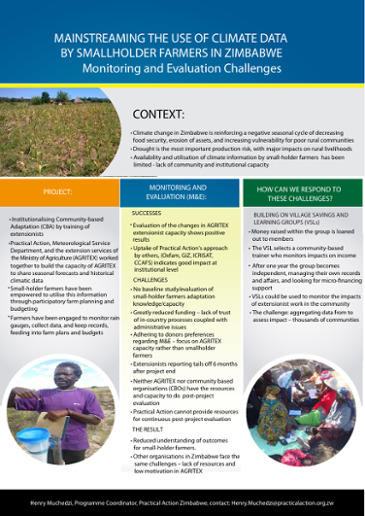 Practical Action's approach to addressing the food and livelihood insecurity of such marginalized small-scale producers is to work with the people to build their capabilities for innovation and adaptation; improve their access to a wide range of technologies and skills; and enable them to find sustainable solutions for the future.